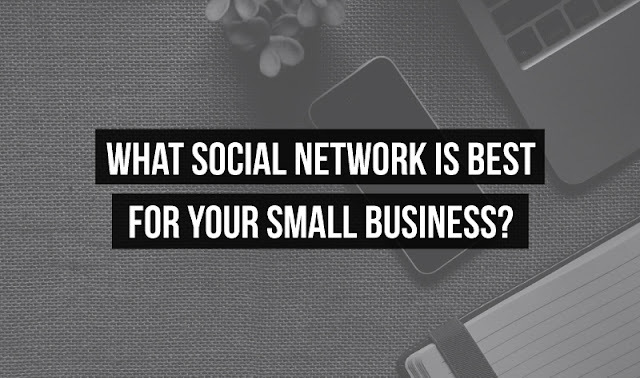 What Social Network Is Best For Your Small Business? Marketing on social networking sites has become a standard way for many small and large companies to further their business objectives. Some experts suggest that where a company is heavily reliant upon the Internet for lead generation, having accounts on all the major social networks including Facebook, LinkedIn and Twitter is one way to ensure maximum exposure. As a small business, however, you may not have the time or money to do this. A targeted approach will ensure that you know exactly where to focus your efforts and which social network is best for your small business. Successfully engaging customers on any social media site means that you will need to provide quality content. The networks can be differentiated, however, by the types of content that are more popular on each, with sites such as Facebook, Pinterest, and Instagram, for instance, rather more geared towards visual content including photos and videos. Twitter has proven effective for the promotion of written blog content, not unlike LinkedIn, a platform where business professionals share written expert opinions and evaluate market trends in a range of industries. Facebook is the largest social network on the Internet and boasts over one and a half billion active users. Through its Pages feature, Facebook allows a global audience to connect with your brand. It can be used to share photos, videos, promote off-site content such as your blog/website, and use paid advertising services to run competitions and polls. According to statistics, Facebook is particularly profitable for B2C companies with visually-driven products. More than half of the platform’s users follow a brand and a large percentage say that they have liked a page to get a discount or a coupon. Millions of Facebook’s users access the platform on their mobile devices using a Facebook app. Twitter has over 300 million users and is also a great way to make global connections. Written Twitter posts can only be 140 characters which many find challenging. However, the platform also allows businesses to share videos, photos and other types of content. Twitter etiquette requires that users retweet and share other people’s content and that they respond to direct communications almost immediately. With a whopping 85% of business marketers using Twitter, the platform is considered useful to B2B companies, especially those in the information and communication sector. LinkedIn is a social networking platform for professionals. A great place to connect with people in similar industries and to engage in industry-focused dialogue, LinkedIn allows users to create a profile, whether business or individual, that showcases their experience and the services they provide. Recommendations from clients and other businesses, as well as establishing your business' expertise by contributing to the site’s Questions section, helps to build trust and reputation. Popular with the B2B community, more than half of the companies on LinkedIn have acquired business through the platform. A relative newcomer to the world of social media, Google + allows businesses to share photos, videos, and links to their followers called ‘+1s’. Google + allows businesses to segment their followers into smaller groups, facilitating targeted marketing campaigns. The site’s tone is casual and fun and major B2B brands such as HP and Cisco use the platform in their social media campaigns. More than 60% of Google +’s users are male professionals. Pinterest allows users to ‘pin’ content from around on the web on digital bulletin boards organised in categories. Boards for fashion, beauty, food, DIY projects and interior decorating are among the most popular, and businesses in these areas who can offer a rich supply of quality content find the platform useful. Pinterest’s audience is predominantly female and almost three-quarters of its users are on the platform for shopping inspiration. The average spend per customer on Pinterest is almost double that of both Facebook and Twitter. In deciding which social networking sites to use, it helps to know who your target audience is; which social media platforms they use; and what messages you want to share with that audience.